Do your run for doughnuts? No judgment here! 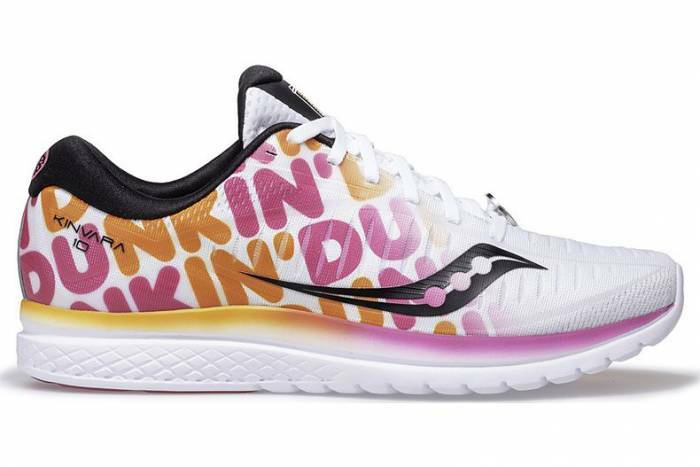 You can now wear your love for our favorite post-morning-run snack on your shoe. The Saucony Kinvara is a stalwart shoe popular among road runners for years. Now in its 10th iteration, Saucony is known to create fun, funky limited editions. Previous versions commemorate races like the Boston Marathon and New York Marathon. And now, you can get them featuring the iconic Dunkin’ Donuts logo. The collab shoe hit the market today and is available online for $120. It’s the well-known and loved Saucony Kinvara 10. 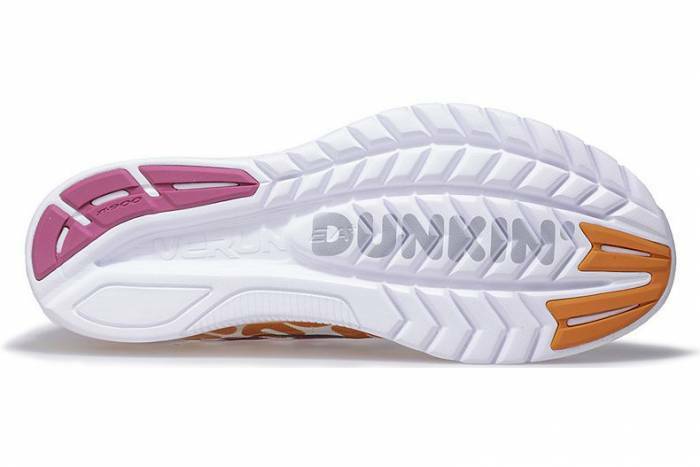 The Kinvara 10 is a neutral shoe. It has a responsive cushion meant for road and track use. The modest 4mm offset falls from 22 to 19 mm heel-to-toe. Best, it weighs in at a scant 7.8 ounces. 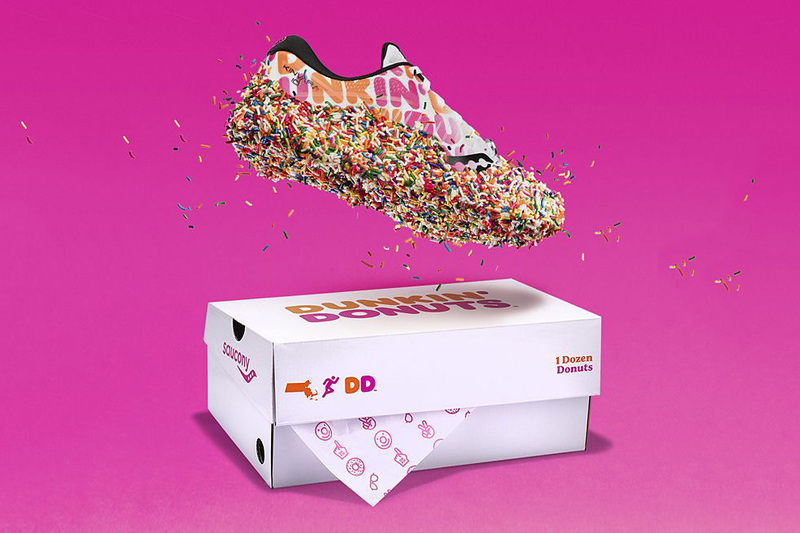 If you’re in the market for a running shoe and love the irony of a doughnut maker on your feet while training, score these now. The limited-edition shoe won’t last long. previous:‘Super Steel’ Knife: The Ultimate Blade for Camp Chefs?